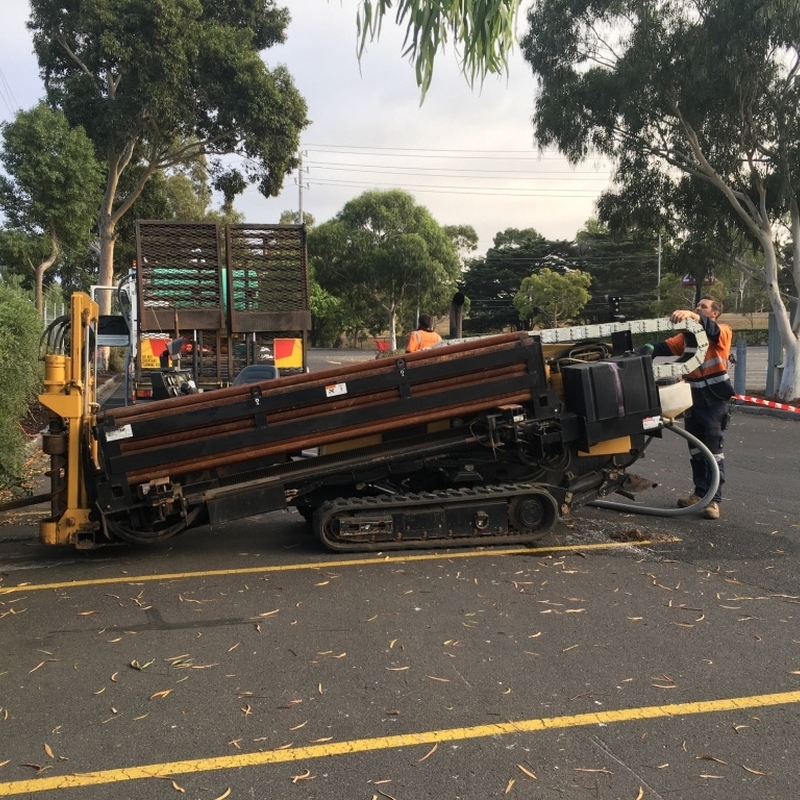 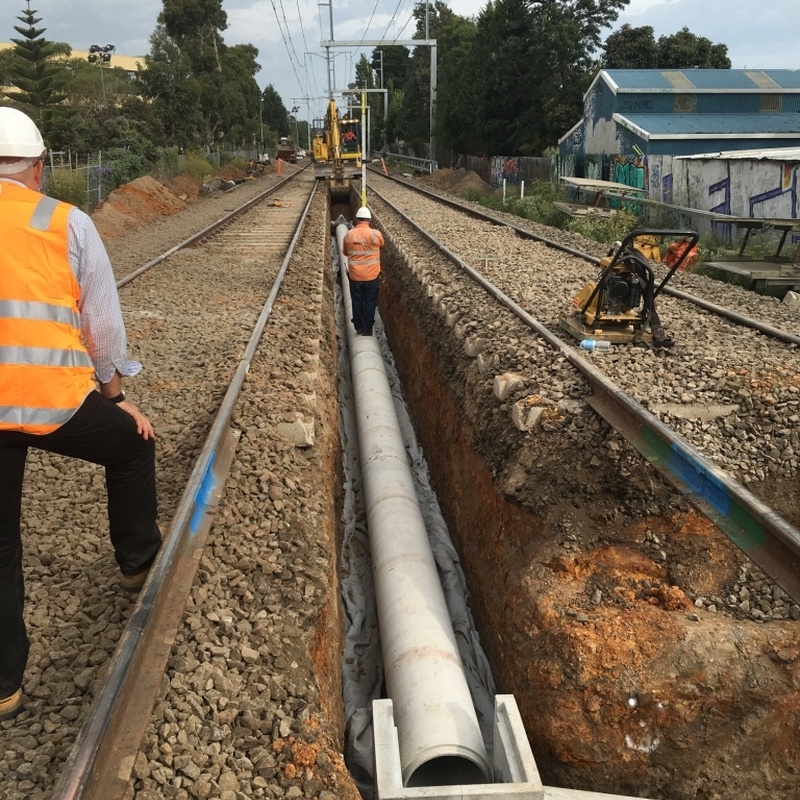 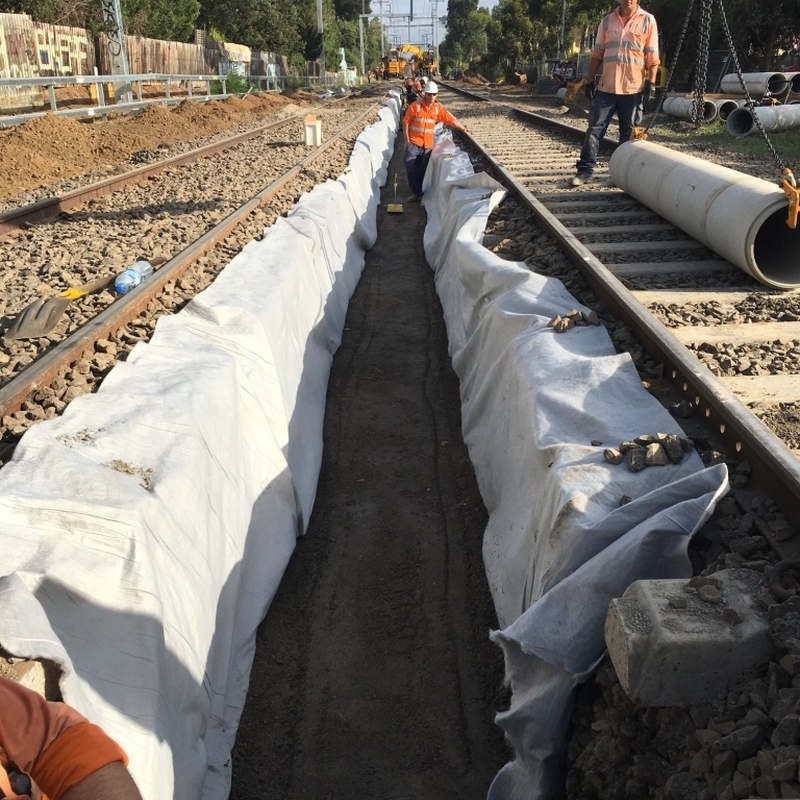 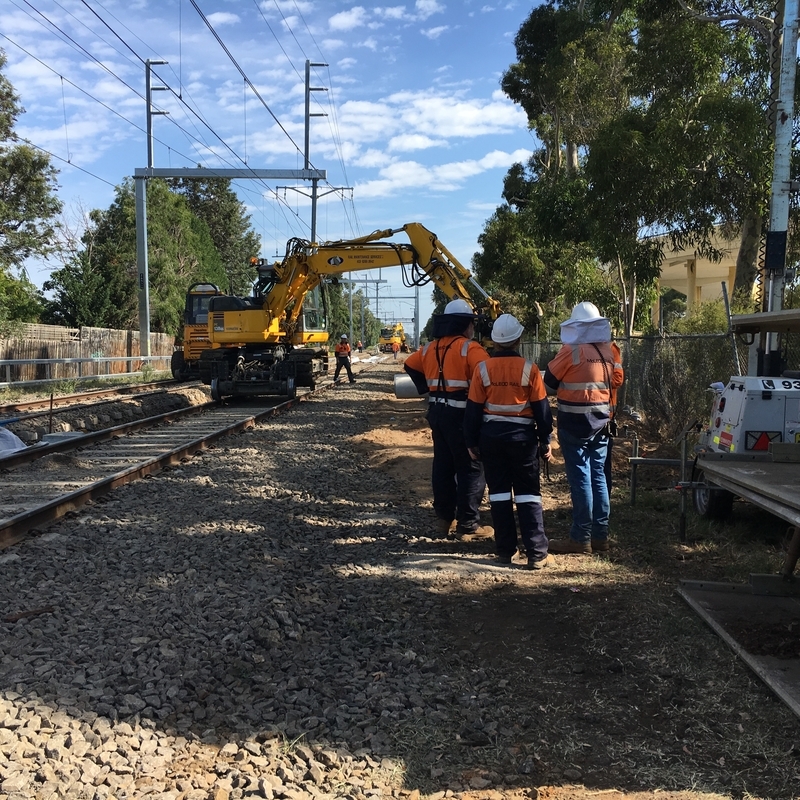 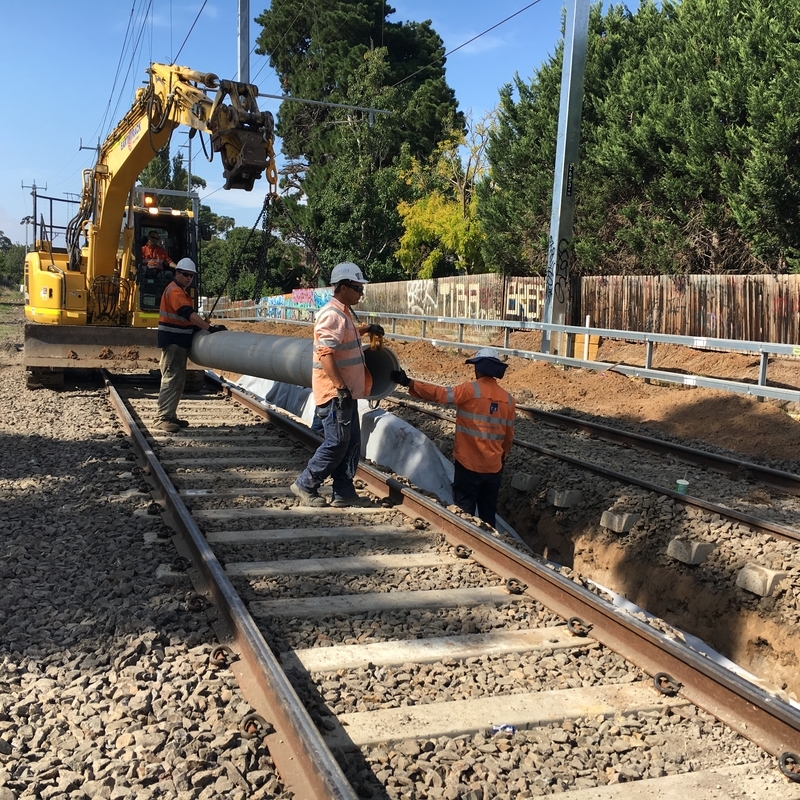 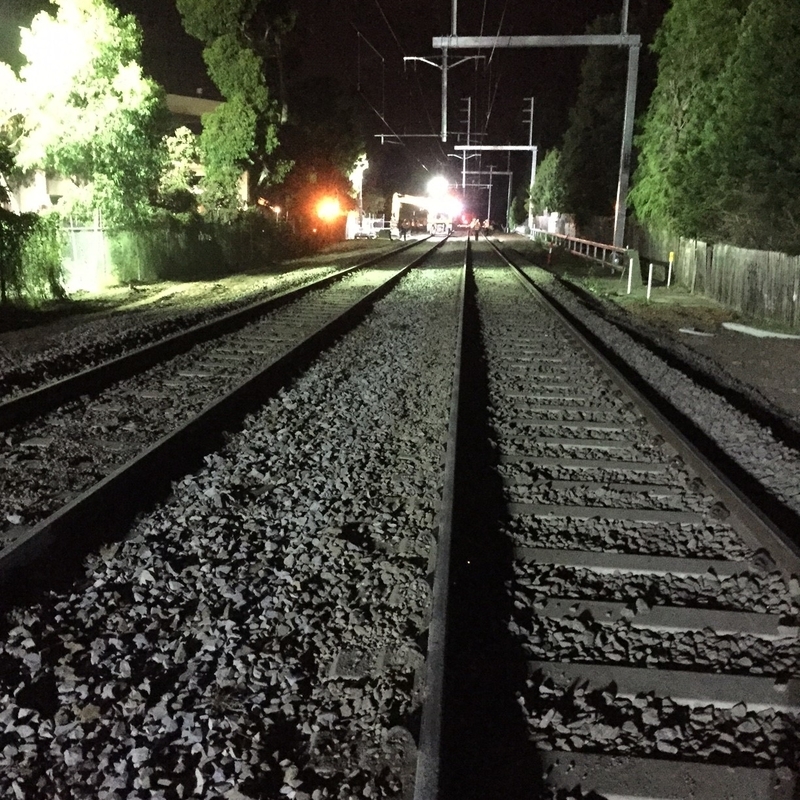 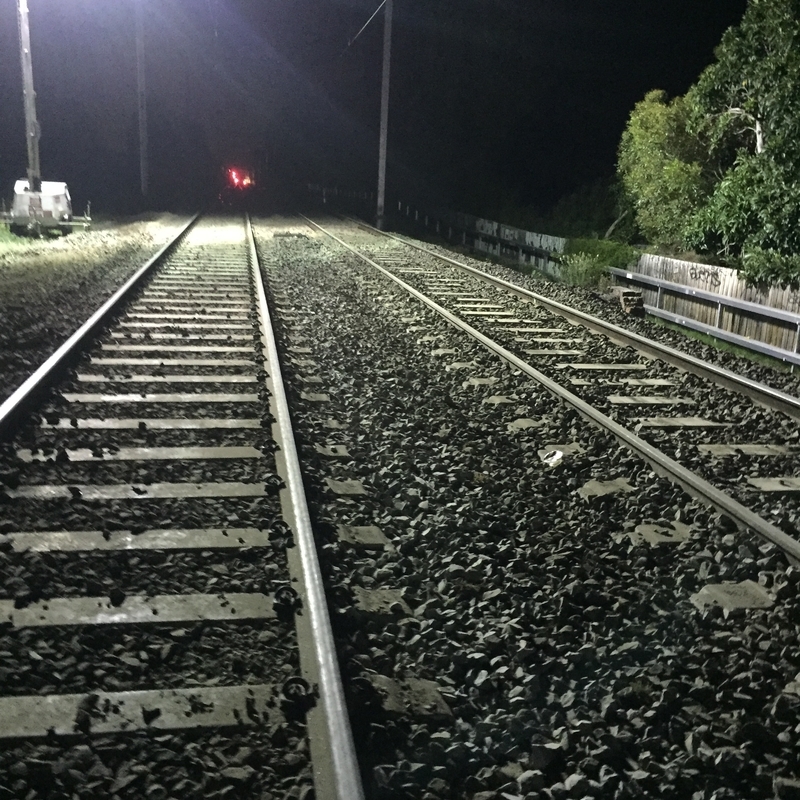 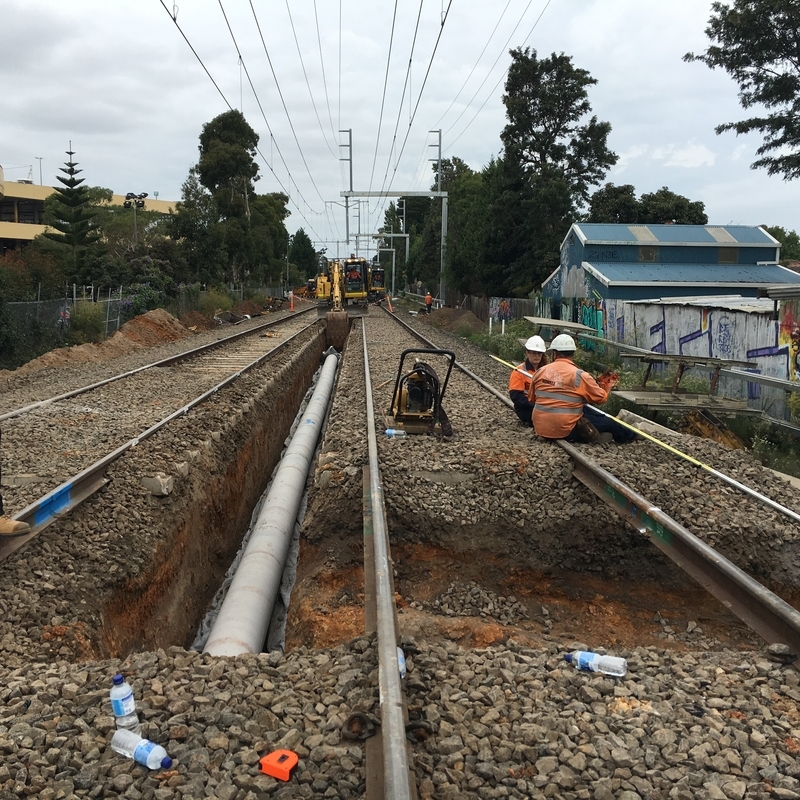 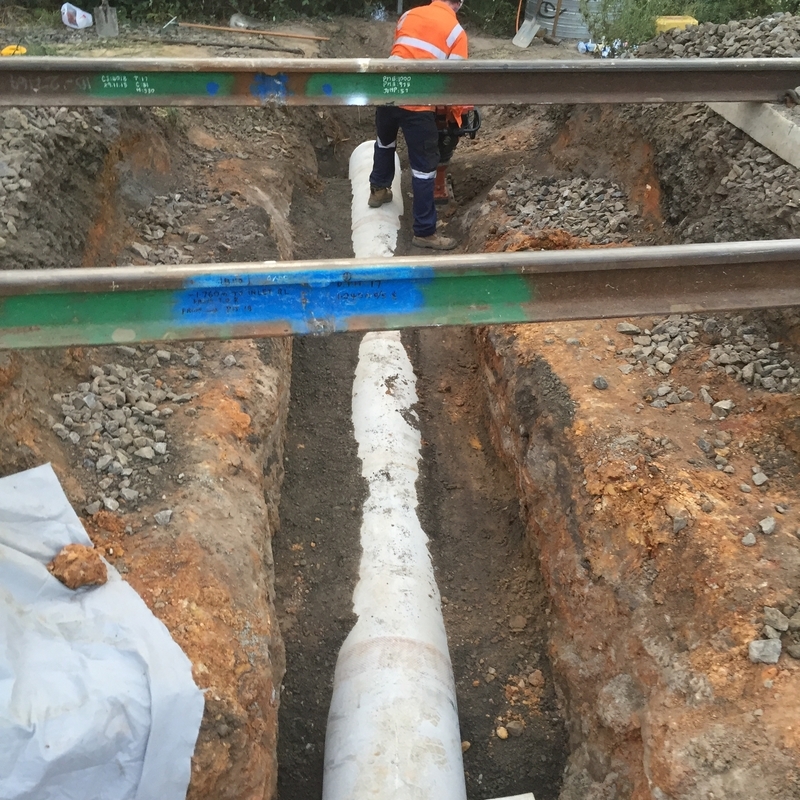 During a weekend occupation McLeod Rail installed 220 metres of centre track stormwater drainage, completed undertrack directional drilling installation of pits and associated services, as well as track stability monitoring and subsurface drainage as well as all associated sleeper replacement and track welding. 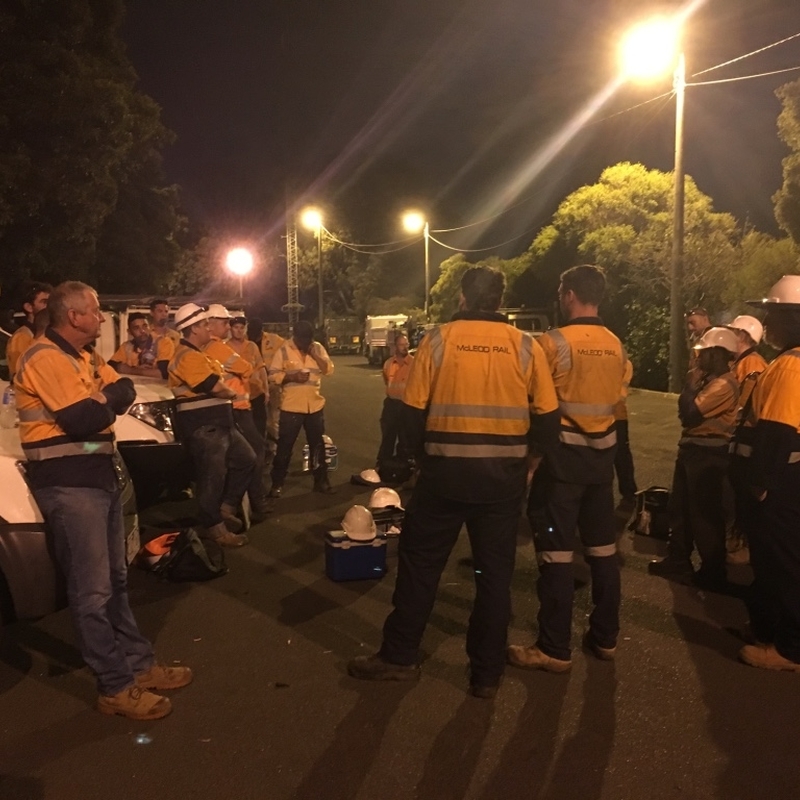 Typical crew sizes were around 40-50 people, with a total of 1,700 hours completed over the weekend shift. 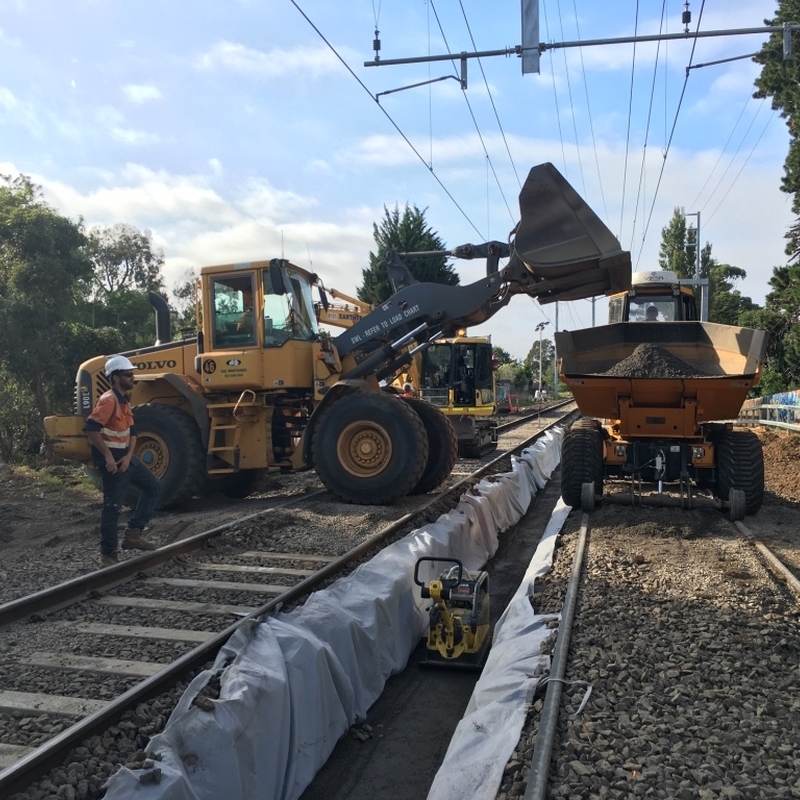 Plant used included 4 x hi rail excavators, 3 x hi rail dump trucks, directional drill, NDD truck, and front end loader. 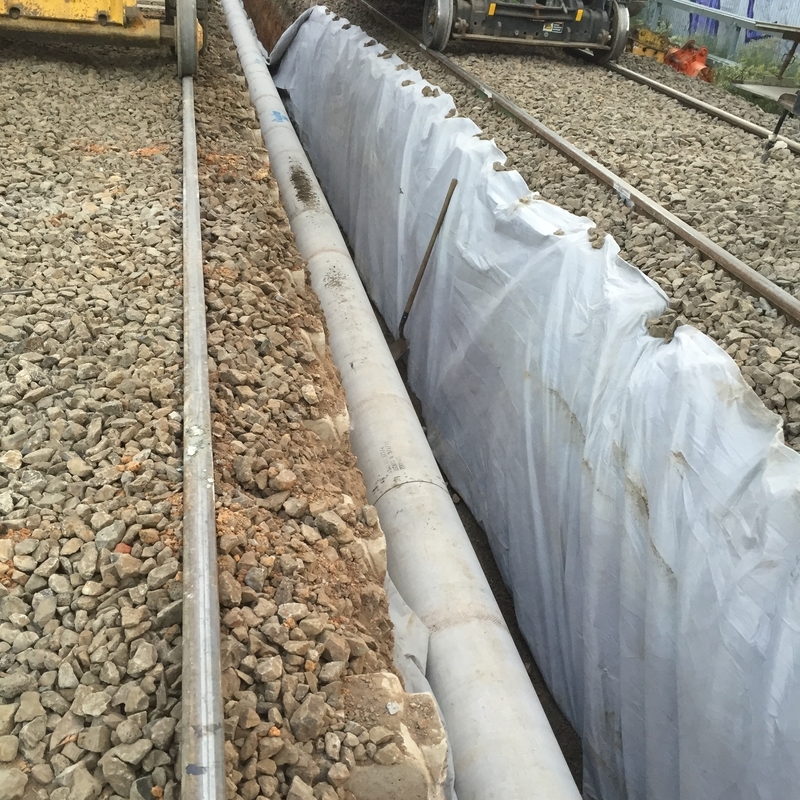 Approximately 1000 tonnes of crushed rock, aggregates and ballast were used over the weekend.